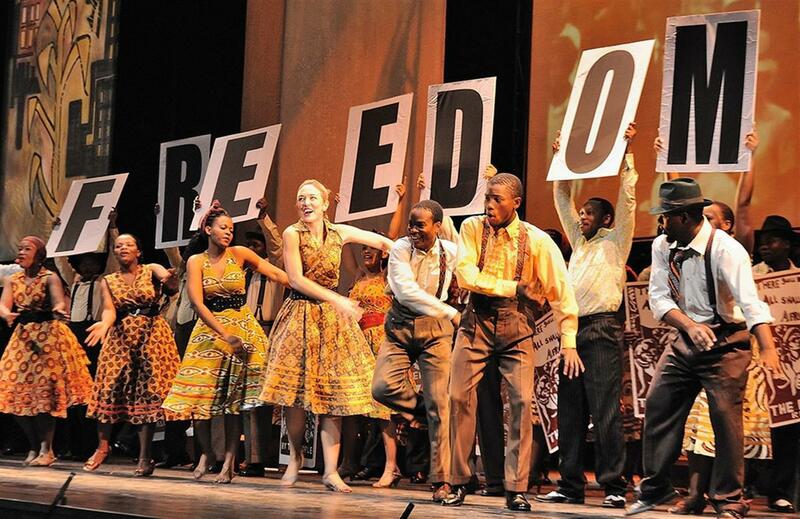 The inspiration of Nelson Mandela isn't lost in this breathtaking epic that is a mix of an opera and a musical. Cape Town Opera - South Africa's largest not for profit organisation - has succinctly retold the freedom fighter's life through modern opera, jazz, swing and Xhosa folk music. 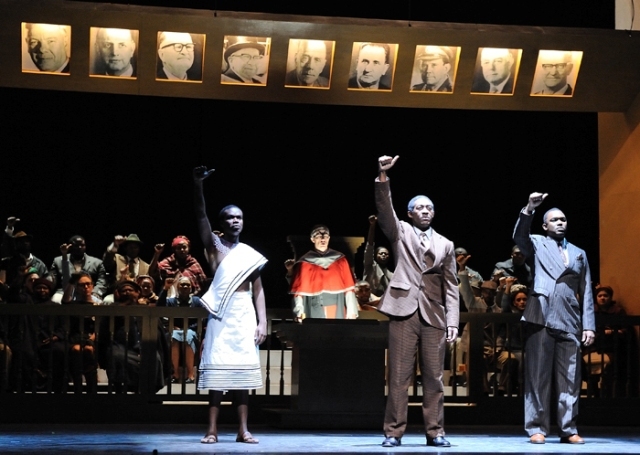 Over three acts, the Mandela Trilogy spans his life from a youth doing tribal initiation rites on the banks of the Mbashe River, to a lawyer and protestor in Sophiatown before residents were forcibly removed, and finally as a prisoner on Robben Island. Adding to the political drama are personal insights into Mandela that make this tale all the richer. How his mother gave him up to a local chieftain, the many women in his life including Winnie and the garden he grew on a prison roof. It all all adds more dimension and enjoyment to the story. What's more, Mandela Trilogy is an atmospheric production that brings to life the colours, emotion and sounds of an apartheid-hit South Africa. That's not only through the scintillating dance and music but also via a big screen conveying black and white original videos of riots and police checks. Performed by a company of over 60 South African performers, they all have an energy and precision to make this a slick affair. 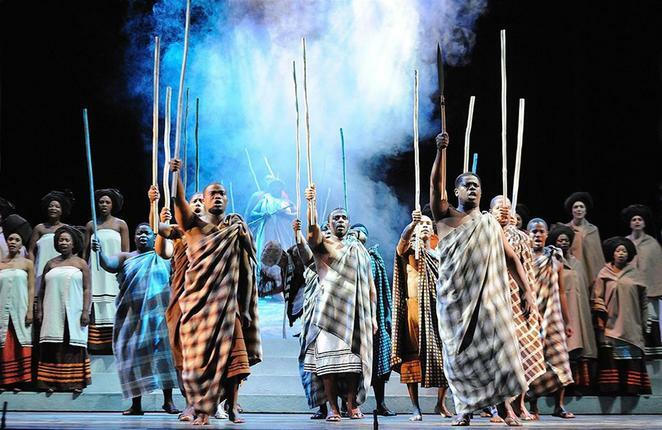 While the three men playing Mandela at varying ages are tremendous with hearty voices and an air that commands attention on stage. In the show I saw, Aubrey Lodewyk conveyed the essence of Mandela during his later prison years and had a warm, powerful voice. Peace R Nzirawa, in the Sophiatown jazz years of Mandela's life, had a wonderful deep, rich speaking voice with sweeter tones when he sang. Zolina Ngejane as nightclub singer Dolly, gives a wonderful sassy performance and is a real highlight with her jazz/swing songs and voice that has a touch of the Etta James about it. The opera draws you in completely and by the final prison release scene, you can't help but have a lump in your throat from all the emotion. It's an exceptional show worthy of such an inspirational man. Tickets cost from £17 from the Birmingham Hippodrome website or call 0870 730 1234. The show will then move on to Salford's Lowry from September 23 to 24. Visit the Lowry website for information.